​Kevin De Bruyne has revealed the media coverage of Raheem Sterling prior to his arrival at Manchester City meant he thought the England international was 'arrogant' and 'a bit of a d*****d'. 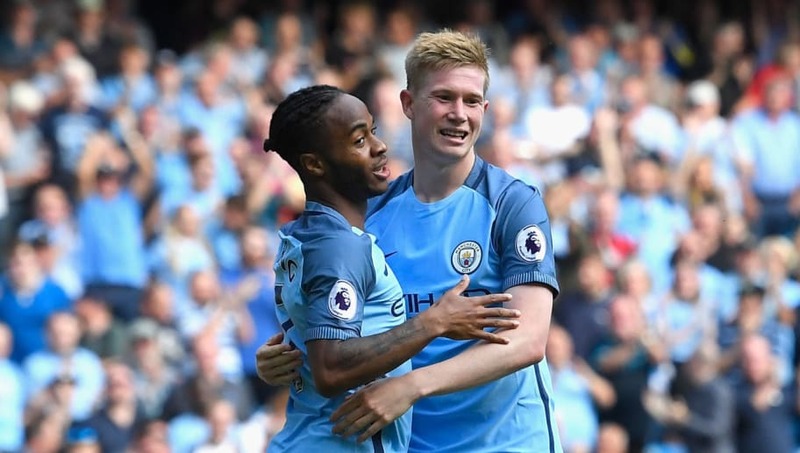 In a feature for ​The Players Tribune, De Bruyne admitted that before making his own move to City and joining up with Sterling as teammates, he had been swayed by the 'negative press' surrounding the winger. He said: "Before I came to ​Manchester City, I didn’t really know what to make of this Raheem Sterling guy. I had never met him, and from what I’d read about him in the English press, I thought he was going to be a very different character. "​Raheem and I have this strong connection, because we arrived at City around the same time, and there was a lot of negativity about us in the press. They said I was “the Chelsea reject.” They said Raheem was this flashy guy who left Liverpool for money. They said we were difficult characters." ​De Bruyne added: "Then I got to City and I actually met Raheem, and we’d talk a bit after training, and I thought, Wait, this guy seems really cool? What’s the story here? PEP  The the last three or four games @DeBruyneKev was incredible and we missed him a lot when he was out injured. He has the ability and the vision to see passes the rest of us human beings can’t see. "But over time, I got closer to Raheem, because our sons were born around the same time, so they would always play together. I really got to know Raheem, and I recognised what a smart and genuine person he is. He couldn’t be more different from what the tabloids were saying.